Because of changes to the security requirements for credit card merchant accounts, we are now using a third-party credit card processor to handle web-based credit card payments. We can still accept credit card payments over the phone, so if you want to pay for your purchase that way, you can call us at 1-800-24-ANIME (or +1 910-251-1850) between 9am and 5pm Eastern Time, Monday-Friday. 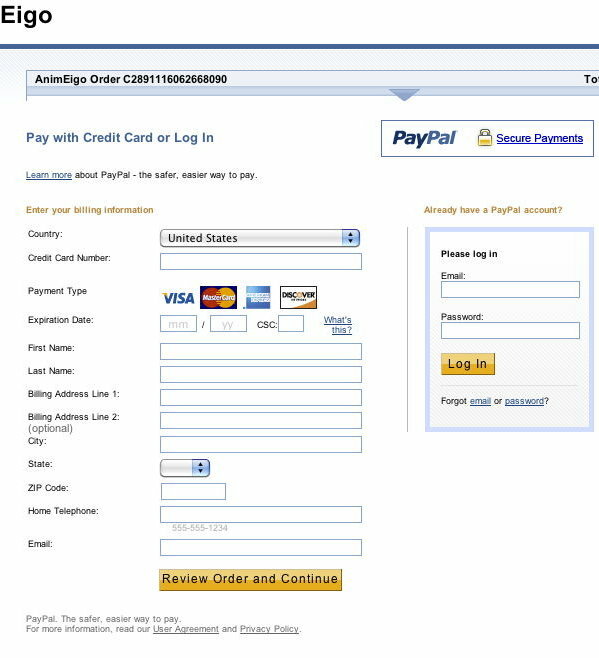 Since we already accept many payments using PayPal, we have decided to use PayPal as our processor. 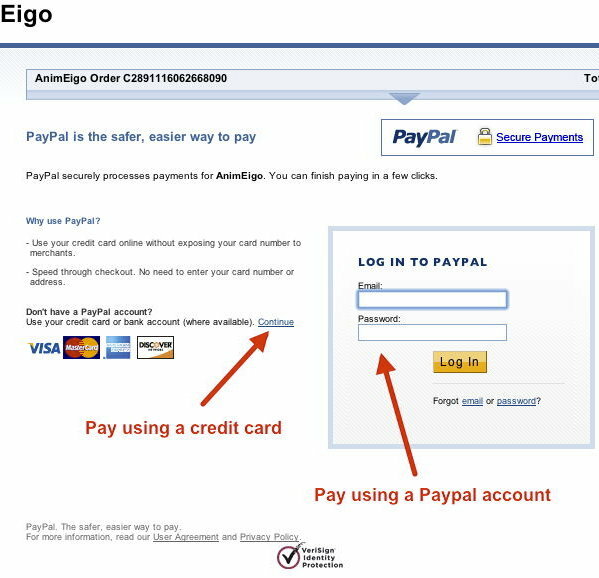 Contrary to popular belief, you do not need a PayPal account to use PayPal. Here's how to do it. If you have a PayPal account and PayPal knows this (because of a cookie, for example), they'll bug you to try and get you to log in and use PayPal to pay. You don't have to, however. Just fill out the form and submit it. On the final confirmation page, PayPal may again suggest you log in and use your PayPal balance (persistent, aren't they?). Just click on the "Continue without logging in" link to complete the transaction. Just FYI, the reason for this change is that the credit card companies are getting really serious about the security of credit card numbers. They pretty much are insisting that the numbers only get stored, even temporarily, on heavily secured servers, and only large processors like PayPal can afford the compliance costs of proving to them that their security is up-to-date.